Powered by Tata's new turbo-petrol engine. 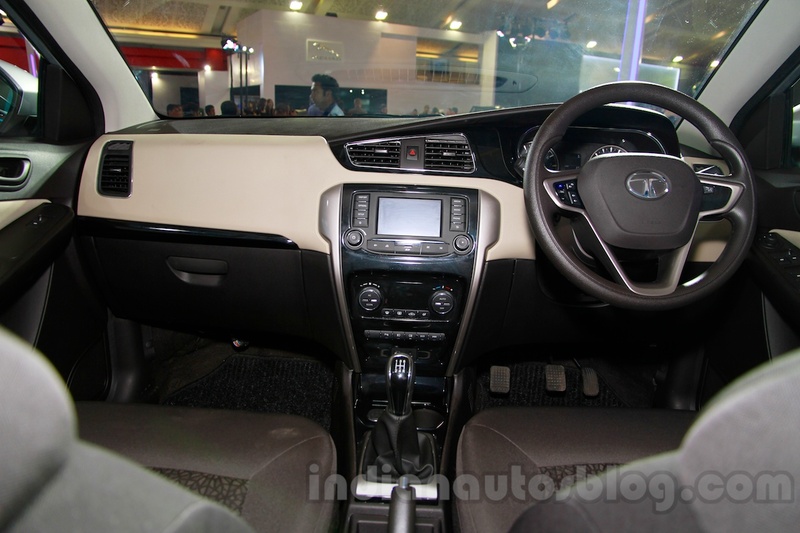 The Tata Zest had its Indonesian premiere at the ongoing 2014 Indonesia International Motor Show (IIMS 2014) which opened yesterday for the media. 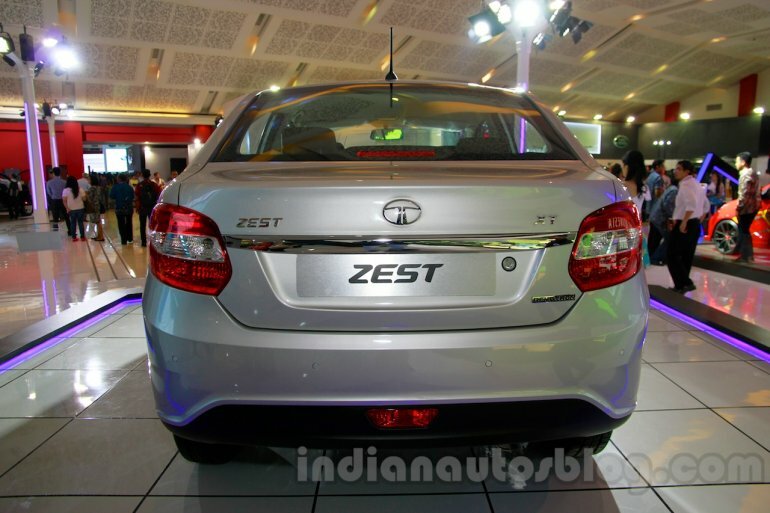 The Zest is a compact sub-4 meter sedan based on the Vista's platform. Based on the Vista's platform, the Zest is a compact sub-4 meter sedan which competes with cars like the Honda Amaze, Maruti Dzire and Hyundai Xcent in India. The sedan measures 3,995 mm in length, 1,706 mm in width, 1,570 mm in height and 2,470 mm in wheelbase. The Zest shown at the Indonesian show is the top-end XT variant powered by the 1.2-liter turbocharged four-cylinder Revotron petrol engine which is capable of producing 90 PS (88.73 bhp) and 140 Nm of torque, paired to a 5-speed manual transmission. 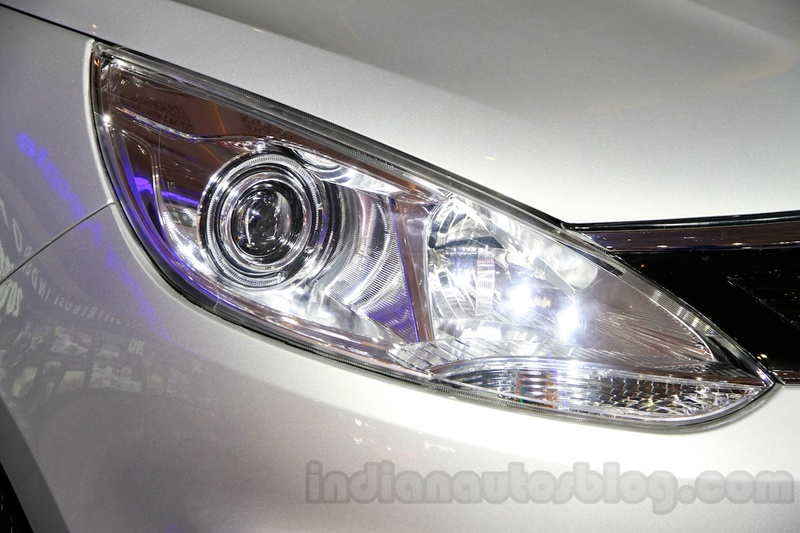 In the Indian driving cycle, the sedan achieves 17.6 km/l. The car gets features like projector headlights, LED daytime running lights, alloy wheels, steering mounted controls, a touchscreen Harman music system with 8 speakers with USB, AUX-in and Bluetooth support, automatic climate control, ABS, EBD and dual front airbags. 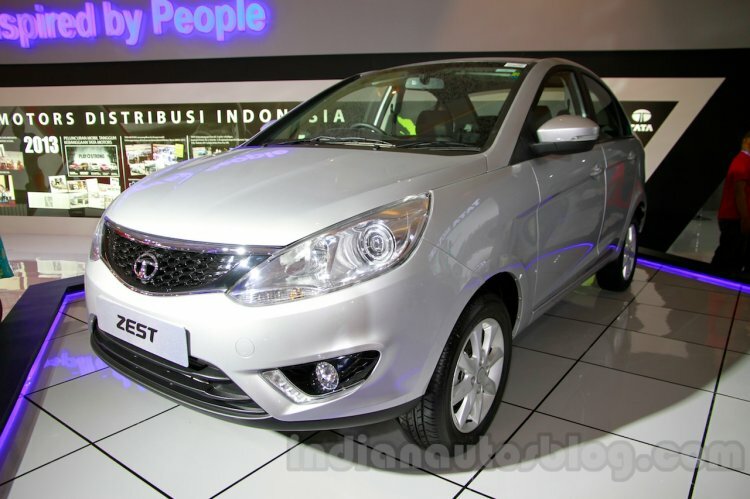 While the Zest may or may not launch in Indonesia, a Tata official confirmed the local launch of the Bolt hatchback to take place in February next year.